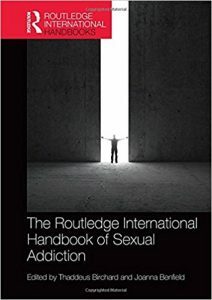 Often sexual addiction is automatically associated with being a man’s problem however despite popular belief women do struggle with sexual addiction. Struggling with sexual addiction is very shaming for a person and can leave them feeling disconnected and alone. Because so few women come forward about their sexual addiction and assume it is a man’s disease the shame can be even more intense. The diagnosis criterion for sexual addiction is the same for women as it is for men. There are several myths surrounding women and sexual addiction that perpetuate the minimization of this problem for women and increase shame. Empathy can include both emotional (affective) empathy or perspective (cognitive) empathy. One way to improve our empathy is to “nurture our curiosity”. Please share your thoughts about outrospection and empathy in the reply area below. I recently read a book by Miriam Boleyn-Fitzgerald (2010), Pictures of the Mind: what the new neuroscience tells us about who we are. This book explains how new technology is contributing to groundbreaking discoveries related to how the brain works and its influence on our behavior. . . . I find it hopeful to know that we have the ability to change and heal within us because of neuroplasticity. Not only can we retrain our brains to heal and recover from addictions, but the author states researchers have identified neural pathways for spiritually significant mind states like empathy, compassion, and forgiveness . . . Empathy, compassion, and forgiveness toward the self and other people are important skills to cultivate during the journey of recovery from addiction. Often recovery may feel like being on an emotional rollercoaster, making it more difficult to develop prosocial skills. It is helpful to remember that we are not our emotions. Emotions are fleeting lasting only a matter of seconds; it is our moods that are more pervasive. Being aware of the fleeting nature of emotions will make it easier to let them go and not identify with them. What Role Does Neuroplasticity Have In Addiction Treatment? Neuroplasticity, neuro (brain/nerve/neuron) and plasticity (moldability), is what neuroscientists refer to as the brains ability to change and adapt at any age. As we make decisions, think about something, make memories and feel emotions, neural pathways in the brain hold and store this information which can occur on different levels. A great deal of research went into patients that suffered from disease and brain injuries as they realized that over time the brain found ways of rewiring itself to other parts of the brain, actually going around the injured area to reconnect with other neurons and compensate for the injury. This new finding created a positive response as doctors and therapists began looking for changes in the patient’s rewiring skills, as this ‘flexibility of reorganization’ was taking place and patients found that they could improve and recover. With the continued study of neuroplasticity, scientist realize that the brain is structured to change and can respond to certain stimuli over a person’s lifetime. Besides the way a brain can make changes when new information is presented, our behaviors are another way our brain and body react to certain stimuli like emotions, stress, and other physical senses. A person, addict or not, can walk into a room and smell something delicious baking in the oven that triggers a memory that they hadn’t thought of or remembered for a number of years. This stimulus recalls on cellular memory groups, and can be activated from this type of inducement, making it easy to remember or respond to the stimulus that was previously known. But for addicts, this is especially hard as it triggers the same feelings and images that they are trying to avoid. Understanding behaviors and how closely they relate to our senses, memory, and cognition is important to comprehend when dealing with neuroplasticity and rewiring the brain. Since they all rely on repetition and other challenging activities, the brain is able to make changes and literally rewire new pathways to improve its performance. And the best part is that the more you practice this new way of thinking, new skills can be developed to create happy connections among neuron pathways in the brain. Now that we understand that humans have the ability to change behaviors, those with sexual addictions can literally retrain their brains to make new pathways that will reconnect them to a healthier way of living. https://www.paradisecreekrecovery.com/wp-content/uploads/2016/01/What-Role-Does-Neuroplasticity.gif 222 750 Paradise Creek Recovery Center https://www.paradisecreekrecovery.com/wp-content/uploads/2015/11/Paradise_Creek_Recovery-Center_Sex_Porn_Addictions_horizontal_logo_blue.png Paradise Creek Recovery Center2016-01-04 16:00:382015-08-27 09:02:40What Role Does Neuroplasticity Have In Addiction Treatment?